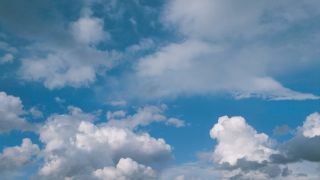 A government sponsored body has announced £5 million in funds for 13 projects on the business and technology challenges around cloud computing. The Technology Strategy Board, which is sponsored by the Department for Business, Innovation and Skills, said the projects will focus on interoperability, data resilience and identity assurance. They will be aimed at developing systems, services and software to deal with the issues and to show where cloud services can provide new value for business. A spokesperson for the board told TRBC that a number of companies would lead the projects. Jaguar Land Rover will take the lead in two, dealing with protecting cloud services in supply chains and smart asset/smart security integration. Eight other firms will lead one project each within the two-year main programme: Arjuna Technologies, BAE Systems, BBC, Building Research Establishment, MobiBiz, Smoke and Mirrors Productions, Telefónica UK and Worknet . They will share £4.74 million and provide matching funds. Among the issues to be covered are using the cloud for supplier logistics and 3D datasets. Three other fast track projects, to run for no more than a year, will receive up to £75,000 each. These will be led by AIMES Grid Services CIC, Metrac and ThinkingSafe. Iain Gray, chief executive of the Technology Strategy Board, said: "The market for cloud computing services is growing by 26% each year. It is an area with exceptional potential for growth. Finding the correct balance between trust and flexibility, without compromising security, is vital. "Through this support we aim to help UK suppliers of cloud infrastructure and outsourced IT services to work together on the challenges that are holding back the adoption of cloud computing, in order to capture a bigger share of this expanding market."